He has over 27 years’ experience in Engineering, Designing, Manufacturing, Marketing and Management. He served as Deputy Chief Engr. (Production), Chief Engineer (Production Planning and Control), Director International Marketing and Chief Coordinator for ISO at Pakistan Aeronautical Complex, Kamra (Aircraft Manufacturing Factory). 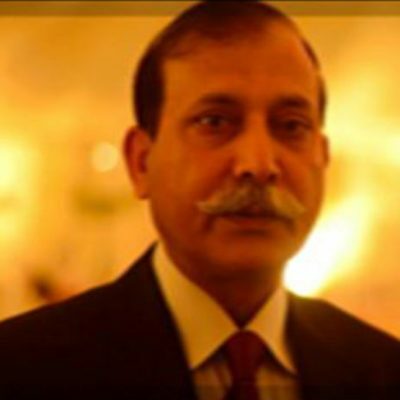 He has developed management systems as Principal Consultant / Advisor for over 450 organizations based on Occupational Health & Safety, Environmental Management, Quality Management, Organizational Development (OD) , Lab Management , Information Security Management in various high performance industrial (manufacturing) organizations in the region (Pakistan, Middle East). He has also worked abroad in aviation and engineering industries and has been involved in various projects assisted by world class organizations like Boeing (USA), Dassault (France), Scancma (France), SAAB (Sweden), Lycoming (New Zealand), British Aerospace (UK), Royal Ordnance (UK), CATIC (China), NSS (Malaysia), IRG (Iran), King Fahd Academy (Kingdom of Saudi Arabia) etc. Mr. Baig has significant contribution in the field of Quality, Environment, Occupational/ Industrial Safety Management. He has been consultant, adviser & Trainer for many industrial groups in the private sector and also worked extensively as Principal Consultant / Lead Trainer with Global / International organizations like: European Union (EU), International Labour Organization (ILO), United Nation World Food Program (UNWFP), Kingdom of Netherland, German Council, Asian Development Bank (ADB), World Bank, GIZ (International Zusammenarbeit GmbH, Germany) etc. Mr. Baig has played a pivotal role and was an instrumental figure in developing Pakistan’s National Voluntary Compliance Standard (NVCS) on Quality, Environment and Occupational Safety Management for manufacturing/exporting industries in Pakistan from the platform of Pakistan Compliance Initiative (PCI – a public private partnership on compliances). He has valuable contribution in implementing foreign buyers compliances in various industrial sectors in Pakistan some of these foreign buyers include LEVIS, GAP , CHAPS, NIKE, JCPENNY, TESCO, TARGET, WALLMART, K-MART etc. He has conducted over 300 plus Seminars, Trainings and Workshops on ISMS, ISO 9001/ 14001 /17025/SA8000/ISO 22000/ OHSAS 18001/ Lean 5S/ Industrial Safety / Chemical & Explosive Safety, First Aid & Fire Prevention Course, Foreign Buyers Compliances, Food Safety including Advance / Lead Implementer Trainings on Quality, Occupational Safety & Environment, Foreign Buyers Compliances including Security Compliances. Accordingly to confirmed records over 7000 industry professionals have attended his trainings since 1998.